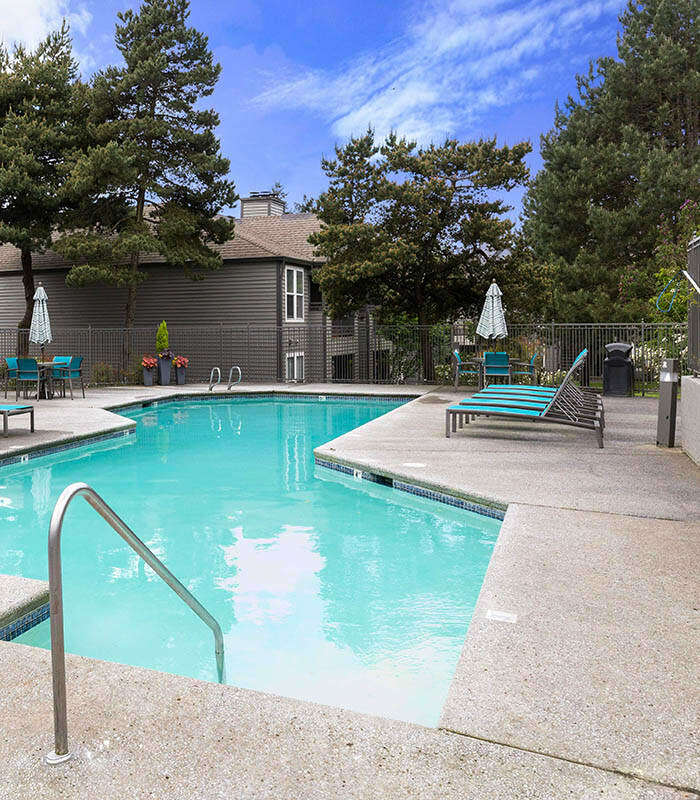 Meadows at Cascade Park Apartments is the ideal apartment community close to I-205 and Vancouver shopping centers. Our newly renovated apartments feature modern amenities designed for function and comfort. The first of these? A full-size washer and dryer in each of our one, two, and three bedroom apartment homes. We can’t make doing laundry more fun, but we can certainly make it easier. Entertain family and friends one night, and cozy up to your fireplace the next. Our unique floor plans are designed to fit all of life’s activities. Apartment homes feature two-tone paint, custom cabinetry, and ample storage space. Oversized windows and a private balcony or patio invite you to bring the outdoors in and enjoy our park-like grounds. 24-Hour Package Lockers with Amazon HUB! Discover a community of possibilities outside your front door. Meadows at Cascade Park Apartments’ modern apartment homes come with superior community amenities for you to enjoy, rain or shine. Our park-like setting features a dog park, playground, outdoor BBQ, and courtyards. Work up a sweat on your own time in our 24-hour fitness center, or go for a swim in the heated pool. When the day is done, relax by the fire pit or in the clubhouse and get to know your neighbors. Our community features allow you to entertain, get fit, and relax, all within steps of your front door. From entertaining to relaxation, Meadows at Cascade Park Apartments features modern amenities designed to fit your needs. View our available apartments for rent and schedule a tour today!